Want to know details on a house at the 2012 BIA Parade of Homes? Want to know more about the colors? Design? There’s an app for that. The 2012 BIA Parade of Homes at the Meadows at Lewis Center has an Android app and an iPhone app for you to use to. 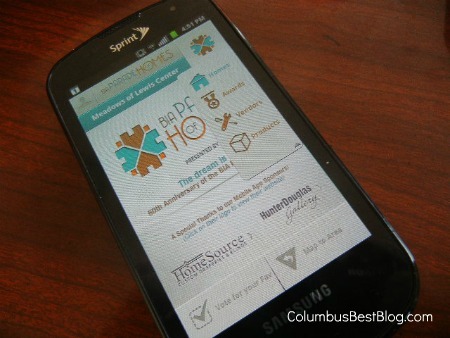 That’s the BIA Parade of Homes app on my “smart phone” an Android. There is a really cute image with a house but it this is the second screen. I am not quick enough to grab a photo of the cute screen. Go to your app store on your phone and download it. It was easy to find on Google Play. Don’t have a smart phone? Don’t worry. You can still get a paper program with a lot of the information about the homes.